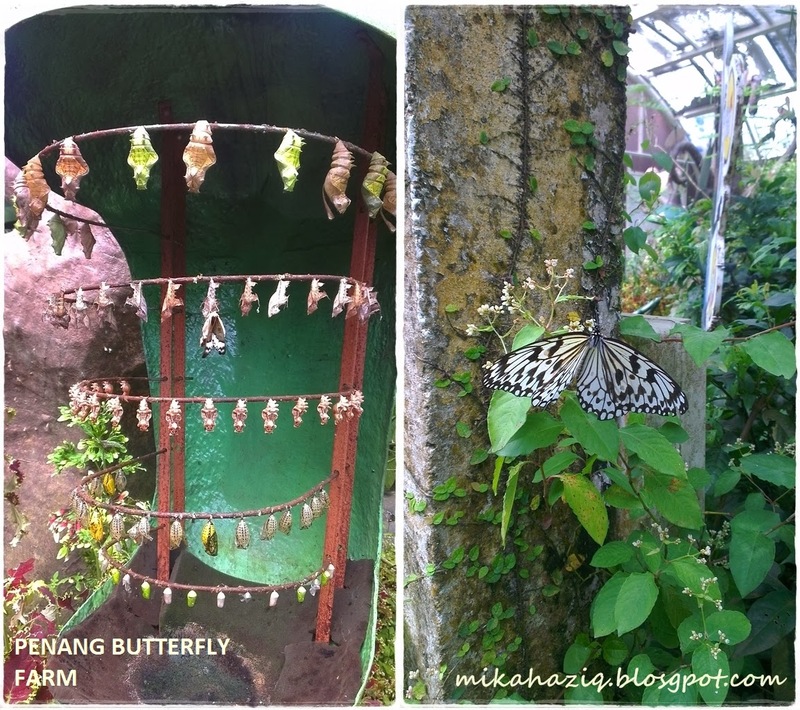 Went to Penang with the kids last Oct/Nov but the weather was quite unpredictable. Incredibly hot or sudden downpour. Spent one day at the hotel swimming and kicking ball with the kids in front of Adventure Zone and was contemplating on bringing the kids to ESCAPE Theme Park the day after but thought the better of it since its the weekend and the traffic would be horrid. Plus, I think our 5year old and 3.5 year old are too young for ESCAPE (you can find out more about ESCAPE at their website here). 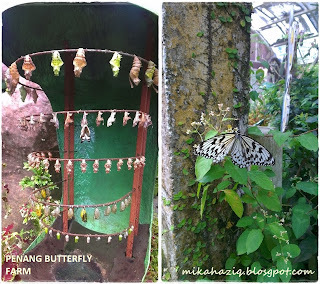 In the end, we decided to just revisit Penang Butterfly Park as the kids enjoyed their visit there 3 years ago and the Toy Museum ( hubby is not interested in the Tropical Spice Garden). 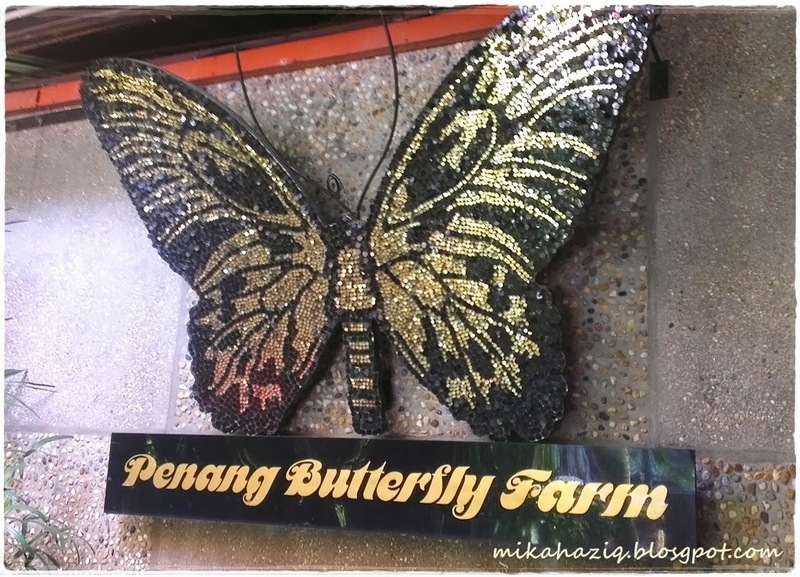 Penang Butterfly Farm is similar to KL Butterfly Park, free flying butterflies all over the park and some bugs/insects, snakes and frogs. This time around my kids kind of freak out from the flying butterflies instead of really liking it like when they are smaller. We finished touring the Butterfly Farm in about 1 hour so I'm not really sure if the admission fee is worth it plus you have to pay by cash. Penang Toy Museum has shifted to a new location at Teluk Bahang, if you drive from Batu Ferringhi and take a left turn to Teluk Bahang Road, you need to take a left before the Craft Batik building (yes, it is a small road that makes you wonder if you are going in the right direction, after about 100m you will see a very small road on your right, take that right and you will see the Toy Museum. It is a white, single storey building with unshaded and quite limited parking lots. I kind of remembered paying RM10 for our previous entrance hence the nothing-better-to-do visit. But, this time around, we were charged foreigner fees RM30 for adults and RM20 for kids, that works out to RM100 for us and I didn't think it was really worth it. Especially since my 3.5 year old who is mad about Ninja Turtles refused to go anywhere else but the Ninja Turtles section and kept asking why he couldn't buy the "toys" on display, while my 5 year old asked to be brought out since he find the toy figurines scary. Instead, he was entertained by the scorpion in a small glass tank at the entrance of the Toy Museum. 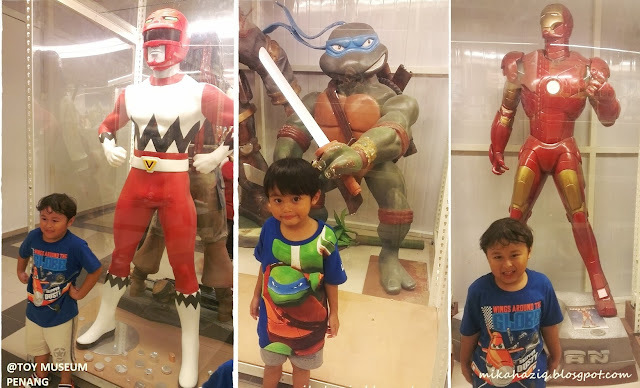 Lastly, since the weather was pouring non-stop and traffic was really bad around Gurney/Georgetown area, husband said let's drive out to Queensbay Mall around Sungai Nibong area to escape the crowd and just see what they have there. Escape the crowd? There is no way to escape the crowd in Penang! 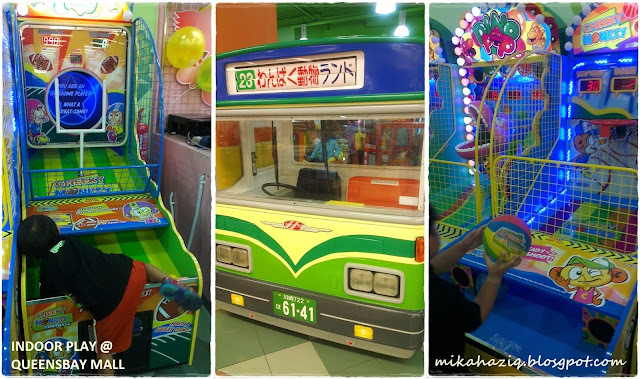 Anyway, it's the average shopping centre, nothing much to shop but there's J.Co for the kids and the kids section at AEON (1F) as usual has an arcade and also a small kids play area. We spent about 1 hour at AEON, nothing much but the kids seemed happy so we are also happy. Will we come again to Penang for a holiday with the kids? I doubt it will be anytime soon. Maybe, when they are bigger so that we go Penang only for makan and not to entertain the kids and when the traffic condition improves!